The doctors on television are talking about it, the health blogs are talking about it, the people in the health food stores are talking about it…heck, even the President is talking about it. Wait, that’s not true – the President is not talking about turmeric. I’m glad people are focusing on turmeric, though; it shows there’s a conscious shift happening where people are looking for safer (and proven) alternatives to using pharmaceuticals alone. However, while everyone seems to love turmeric, there’s something people who are most excited about turmeric often don’t mention. It’s not that they’re doing this on purpose…most people just don’t understand the importance of making this distinction while discussing turmeric. Turmeric by itself is wonderful, but turmeric by itself isn’t nearly as powerful as you’re led to believe. The reason people are so enamored with turmeric isn’t because this strange looking root offers tons of visual appeal; it’s because turmeric contains powerful compounds known as curcuminoids. The most important curcuminoid (as you might expect based on the title of this article) is curcumin. 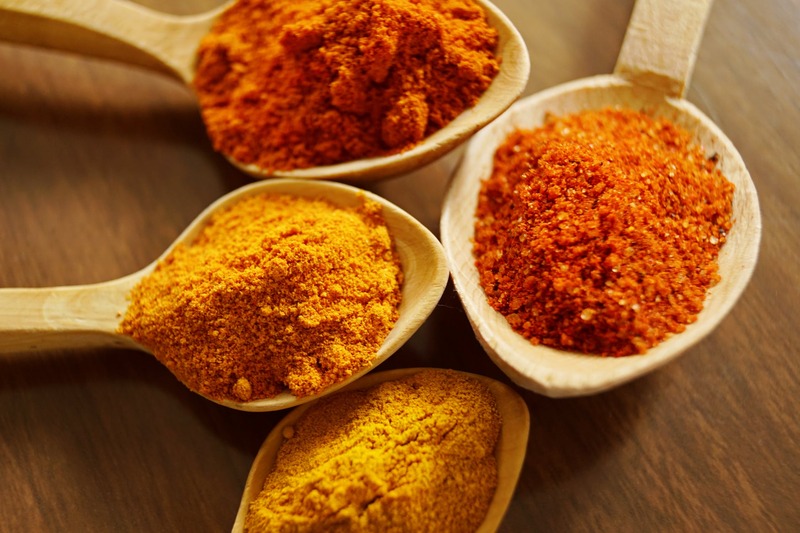 Now here’s the rub – while turmeric might contain curcumin, it only makes up about 3% of it by weight. That means you’d need to eat a lot (and I mean a lot) of turmeric to get the therapeutic doses needed for health improvements. Before I tell you how you can overcome this obstacle, I wanted to take some time to go over why curcumin is so dang important. This is seriously just scratching the surface, but these are some of the more promising reasons for getting more curcumin in your diet. If you’re passionate about feeling better and living with more vibrancy, then you should do everything you can to boost how many antioxidants you get in your diet. The reason so many people are jumping on the turmeric bandwagon is largely because they’ve heard it’s a powerful antioxidant. That’s 100% true and its curcumin specifically that gives turmeric that reputation. Ultimately you might be wondering why it even matters curcumin’s an antioxidant. The reason of course is antioxidants fight free radicals. Free radicals are nasty little things; they’re believed to play a huge role in things like aging, harmful inflammatory responses, heart concerns, brain cell death and many other potentially harmful conditions. . The more you can do to reduce free radical effects on your body, the better your chances are of experiencing health as it ought to be. The best news is curcumin’s antioxidant properties have been tested extensively, and its antioxidant power alone qualifies it as a great supplement. Plus, curcumin does something quite fascinating when it comes to how it interacts with your body; it actually works synergistically with your body to boost its own antioxidant enzymes. Not only does adding curcumin into the body provide additional shielding from free radicals, but it also works with your body to stimulate the body’s own antioxidant mechanisms, helping keep you safer and healthier. There’s no way around it – if you love your brain then you’ll absolutely love what curcumin can do for it. Like I mentioned above when I was discussing its antioxidant power, curcumin has a solid record for helping to combat disorders like dementia and Alzheimer’s. It can also improve brain function and help prevent other neurodegenerative disorders. By helping your brain improve and form new neural connections. Many common brain disorders have been linked to decreased levels of this hormone. By doing this, it may be effective at delaying or even reversing many brain issues associated with age-related decreases in brain function. Then there’s what it might be able to do to protect the brain from degeneration. While there hasn’t been enough research on this subject to rule conclusively in favor of curcumin as an effective treatment for some of the major brain issues seen in doctor’s offices, research shows turmeric may even dissolve amyloid plaques (complex protein structures), which can possibly help to protect the brain. A study conducted by Auburn University showed curcumin was actually much more effective at helping treat to improve blood sugar better than commonly used prescriptions. In fact, it was so good at improving blood sugar that it was shown to be 400 times more effective than one of the leading brand names at activating AMPK (which improves insulin sensitivity). Other studies also indicate curcumin as a powerful catalyst for better blood sugar. If you want to see how well curcumin helps improve blood sugar I invite you to look through examine.com’s website and see all of the studies they have collected there for your research. Like I mentioned above, there’s no way to get therapeutic amounts of curcumin in your diet by eating turmeric alone. Instead, you’ll want to take a supplement which has been optimized to have the highest amount of curcumin available. Well, we made one – and it’s awesome. It contains one of the highest amounts of curcumin available in a supplement, and it’s much more affordable than competing brands. PLUS, it’s completely free of any fillers and won’t cause problems for anyone with allergies. Click here or on the image below to get your own today!